Canadian Wildlife Federation: What should I do with all my leaves? There are several options for making the most of your leaves this autumn. Provided the leaves are not diseased, you can nourish the roots of your lawn and nearby plants by mowing the leaves when you cut the grass. This will shred the leaves into small pieces that will soon decompose, returning valuable nutrients to the soil. Some lawn mowers shred them finer than others. If you have trees that shed leaves in an area or bed where you can let them lie where they fall, you will save even more time and the trees benefit from their natural cycle. This is especially helpful if you grow plants such as trilliums, trout lilies and other spring ephemerals that grow in deciduous forests and are used to growing through last fall’s layer of leaves each spring. Other options include using the leaves as mulch in other areas of your garden. You can cover tender plants with a mound of leaves once the ground is frozen and remove them in the spring. Alternatively you can place leaves around plants with the intention to keep the leaves in place the following growing season. 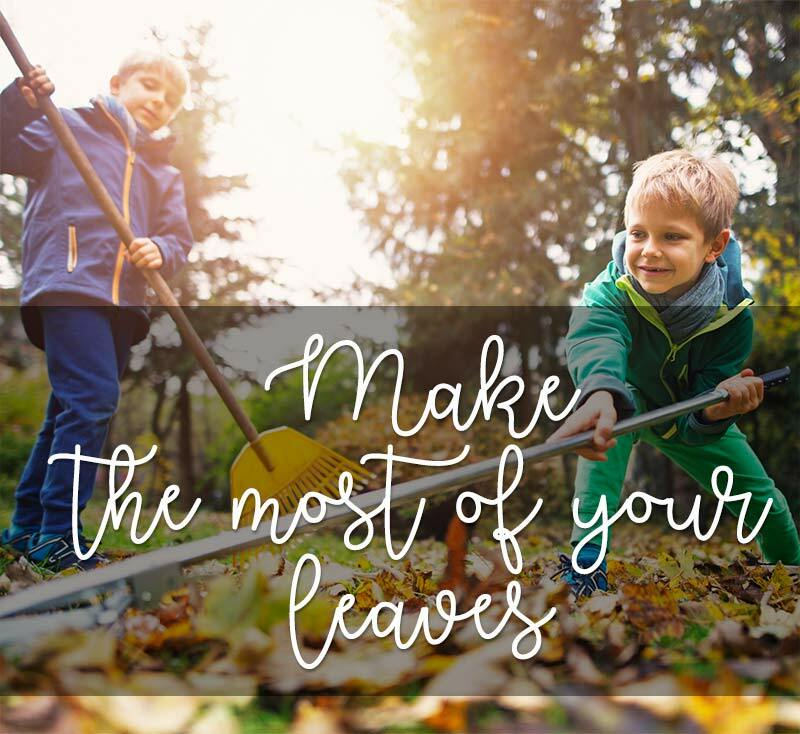 Many find that while whole leaves will do the job, shredded leaves will let more water and air through but still keep weeds at bay, retain moisture and help keep the soil temperature nice and even. You can add leaves to your compost bin at any time, even saving some in a bin with a lid next to your composter to add once in a while during the winter. This adds carbon to balance the nitrogen-rich kitchen waste added during the cold months. When spring comes, the pile will heat up and decompose nicely. Some gardeners make leaf mold, which is a great soil amendment. Digging in some leaf mold improves the texture of the soil, allowing for better moisture retention and air circulation — good for the soil organisms and therefore your plants. You make leaf mold by composting only leaves. You can keep them in a pile on their own or put them in a garbage bag with a few small holes. Either way, ensure that they are moist and leave them to compost for several months. You can check on them every couple of months to see if they have enough moisture. If none of these options appeals to you, you can always put your leaves out on the curb for municipal composting. Just be sure to store them in a suitable container like paper bags or bins given out by your municipality. Natural amendments and fertilizers can do much for your garden - providing nutrients and improving soil texture in a gentle manner that is beneficial to plants and our surrounding ecosystems. Plants require nutrients to grow and be healthy. Fertilizers are wonderful allies when used correctly and in a manner that suits the nature of the plant in question. You may be surprised to learn that composted leaves can make a mineral-rich fertilizer or mulch for your garden. It couldn't be easier.